Passively cooled computing systems are popular amongst consumers worried about the reliability of moving parts, noise from fans, and other associated maintenance requirements (particularly, for industrial use-cases). Traditionally, fanless high-performance PCs have come with a high price tag. However, with the focus on low-power U-series CPUs by Intel, we have many vendors targeting this market segment with affordable models. 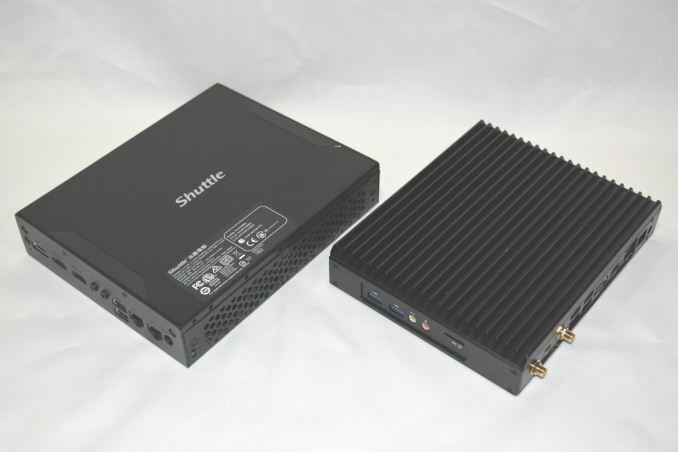 Habey and Shuttle have both had a history of delivering high-performance fanless industrial PCs. 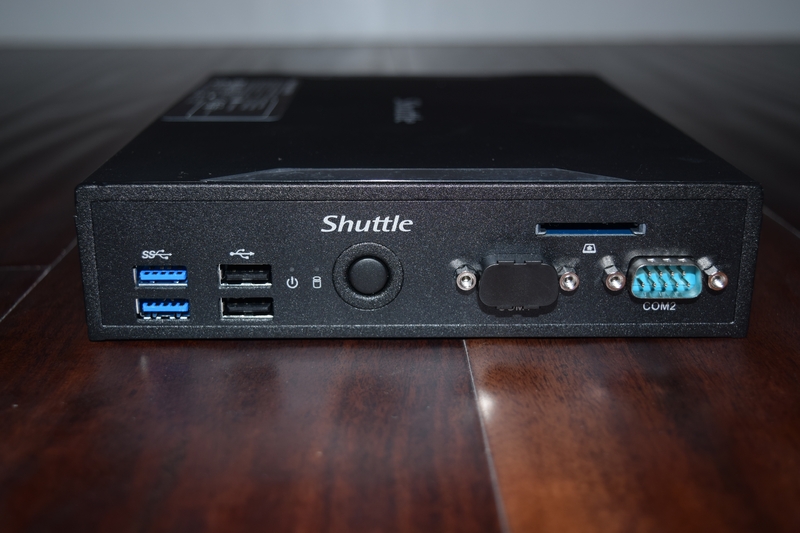 Today, we look at two Kaby Lake-U systems - the Habey BIS-6862-I3 and the Shuttle DS77U. Industrial PCs come with stringent requirements that are not satisfied by generic PCs. It is customary for builders to use active cooling in order to ensure that the components are in proper working order. Ventilation slots are also provided to keep airflow up. Chassis size is also not always a concern. However, these flexibilities are not always possible in industrial PCs. Operating environments for such systems usually call for passive cooling, dust resistance, rugged nature and minimal size. Habey's BIS-6922 has already been subject to our evaluation. 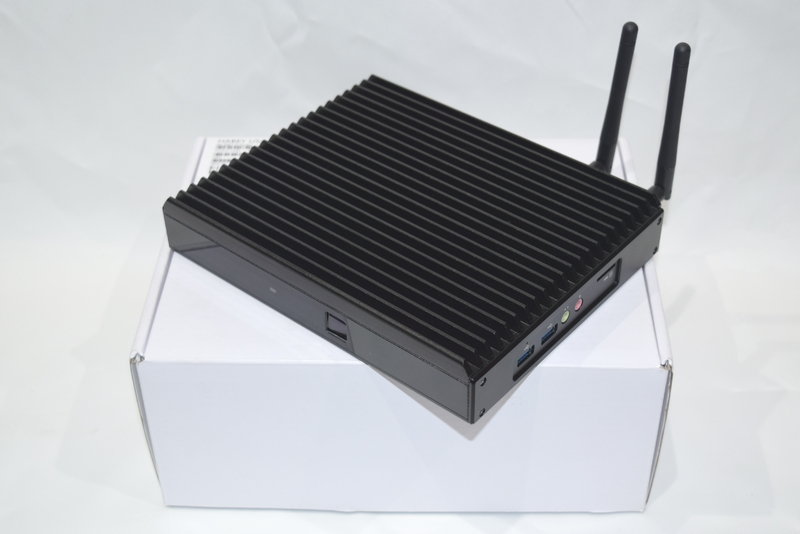 It came with a 45W TDP CPU (Core i7-3720QM), but, the chassis design was robust enough to handle it without issues. The BIS-6862-I3 we are evaluating today uses a 15W TDP Core i3-7100U. The chassis design is simpler, with the ridged segment restricted only to the top side. The processor has a configurable TDP of 7.5W for low-power operation. The gallery below presents some teardown photos. Note the copper block attached to the top panel that acts as a heat sink. We will delve into its effectiveness in the thermal performance section. The Shuttle XPC Slim DS77U is the first fanless Shuttle system that we are evaluating. It uses the 15W TDP Celeron 3865U, which has a configurable TDP of 10W for low-power operation. The gallery below shows some photographs of the XPC Slim DS77U and its internals. The full specifications of our Habey BIS-6862-I3 and Shuttle DS77U review units are summarized in the table below. Note that the configurations available for purchase are barebone, and the consumer is expected to supply the RAM and storage drives to complete the build. However, our review units were pre-configured by the vendors with the components specified. In addition to the main unit, the Habey BIS-6862-I3 comes with a 65W (19V @ 3.42A) power adapter, a HDMI cable, couple of dipole antennae for the WLAN card, and screws for installing M.2 cards. The Shuttle DS77U also comes with a 65W (19V @ 3.42A) power adapter. Other components of the package include a standing mount for the chassis, screws for the internal drives, and a driver DVD. In the table below, we have an overview of the various systems that we are comparing the Habey BIS-6862-I3 and the Shuttle DS77U against. Note that they may not belong to the same market segment. The relevant configuration details of the machines are provided so that readers have an understanding of why some benchmark numbers are skewed for or against the review systems when we come to those sections. The dual DB9 with one being configurable as RS-232/422-485 is a pretty huge plus in a lot of industrial applications as well. I think there is a missing set of computers missing hear - something like Intel Compute Stick with Intel Y processors - I am typing on one right now and it has the same performance or actually more than my original Surface Pro 1 CPU - it is definitely faster than Celeron's and I believe it should be faster than the i3. It integrated graphics is 615 instead 620 as in i3-7100U. But it also only 5Watts. Are you stuck with Windows 10 on these things? When will these embedded systems switch to 5 Volt input? I'm not sure they will, really. Most of them will tend to be 19V input because they leverage laptop parts, or often 24V (sometimes 12V) as that is incredibly common in industrial setups and control systems.